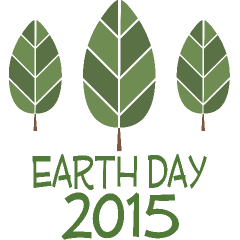 Home > April 2015 > Happy Earth Day! With countries celebrating Earth Day on April 22, people from around the world are coming together to raise awareness of issues facing the environment today. Using technology to reduce the amount of metal used in Crown’s aerosol containers while maintaining performance and functionality is a significant component of Crown’s global RD&E efforts. As a company, Crown work on over 100 different lightweighting projects each year across our businesses. Lightweighting is fundamental to reducing the environmental footprint of its products. It also helps Crown and its customers reduce costs and remain competitive in the metal packaging industry, ensuring the ultimate sustainability of both the company and its products. Performance testing technology for our aerosol cans enabled the U.S. Dept. of Tranportation and Transport Canada to approve lighter containers based upon fit-for-purpose performance testing to ensure safety rather than historical specifications. www.longisland.news12.com recently reported that the Long Island, NY towns of Riverhead, Southold, Smithtown, Brookhaven, the City of Long Beach and Huntington all allow citizens to put aerosols right in their curbside recycling bin. If you don’t live in one of those towns, don’t worry. Each town, or city, has its own recycling program called S.T.O.P. (Stop Throwing Out Pollutants) program and citizens can drop off aerosols and all other recyclable materials there. Packaging supplier Rieke is implementing a major sustainability program to help reduce the impact of its operations on the environment. The initiative covers three main areas – the company’s manufacturing processes, product design and facilities – and involves close working partnerships with its customers and employees. In its manufacturing operations, Rieke is investing in a range of more efficient equipment, and introducing systems that help to minimize waste. The company has also redesigned its shipping containers to enable more products to be carried in the same size container, which reduces the impact of transportation, and is increasing its use of re-usable containers within its factories. Rieke’s new product initiatives have seen the development of re-usable products such as its ‘Smart Soap’ refills and ViseGrip drum closures which are 100% recyclable. The company is also investigating the feasibility of a single stream recyclable pump, while a new revolutionary cap design offers a unique stacking feature that maximizes the number of caps contained in each box. In addition, the company is working closely with its customers to change carton sizes in order to ensure more pumps and closures per box. Rieke’s global factory locations also help to reduce the environmental impact of deliveries and it has recently established a dedicated factory on a customer’s business park to offer a bespoke JIT service. Sustainability initiatives across Rieke’s worldwide facilities include solar panels on its factory in Rohnert Park, California, while all water, with the exception of solid waste water, is collected and used for irrigation within the municipality. At other locations, scrap plastic and all cardboard are recycled. Metal packaging, an infinitely recyclable product, was discussed in detail at the conference entitled “Sustainability of Metal Packaging and Its Position in the Market”, hosted by Turkish packaging supplier Sarten in Istanbul on April 17. The conference was attended by 300 senior Turkish and international representatives from various industries such as food, cosmetics, paint and energy. With its light weight, high durability and long shelf life, metal packaging is increasing its market share as it is sustainable and infinitely recyclable. Becoming a new trend in parallel with the increasing environmental awareness, metal packaging is estimated to reach a global market size of $115 billion by 2016. 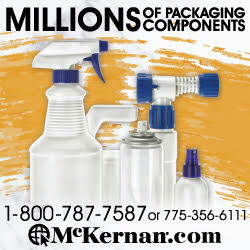 Metal is also expected to grow its market share in the $20 billion Turkish packaging industry. Sarten CEO Mr. Zeki Sarıbekir, European Metal Packaging (EMPAC) CEO Gordon Shade, Communications Director Ellen Wauters, BİM Chief Operating Officer Galip Aykaç, Alison Austin with her 25 years of experience in Sainsbury’s marketing department, and Environmental Protection and Packaging Waste Recovery and Recycling Foundation (ÇEVKO) Secretery General Mete İmer made the opening speeches of the conference. Sarıbekir underlined that Sarten aims to become a global player and a global brand in the world market. “This event hosted by Sarten, brings the industry and the customers together so the role that packaging plays in preserving food and preventing environmental pollution can be understood better. The meeting makes an important contribution to its commercial sustainability,” said Alison Austin, who worked at Sainsbury’s, one of the most important chain markets in Britain, for many years and launched its sustainability programs. A panel discussion was held in the afternoon session of the conference, moderated by renowned Turkish advertiser Levent Erden, where representatives from different industries discussed the importance of metal packaging from their points of view. Zeki Sarıbekir, Alison Austin, Secretary General of Packaging Manufacturers Association in Turkey Aslıhan Arıkan, Aegean Olive and Olive Oil Exporters Association President Gürkan Renklidağ and TOTAL Oil Turkey’s Logistics Director Yaşar Taşkıran attended the panel.